Please click here to read the Simplified Chinese trial version. Confucianism has been the spiritual pillar of Chinese people and the peoples of the East Asian countries. The ethics and morality shaped by Confucianism have forged the positive and enterprising life and work attitudes of Asians. 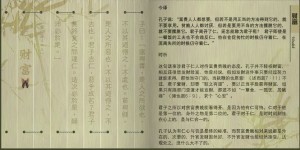 The book is compiled with objectives to cultivate mutual tolerance and understanding between Eastern and Western cultures, as well as to allow readers from all over the world to learn the civilizations of Asia.The book’s 140 selected items from The Analects are representations of Confucian teachings which carry thoughts beyond the limitation of time and space. They are rich in modern meanings and stimulating. 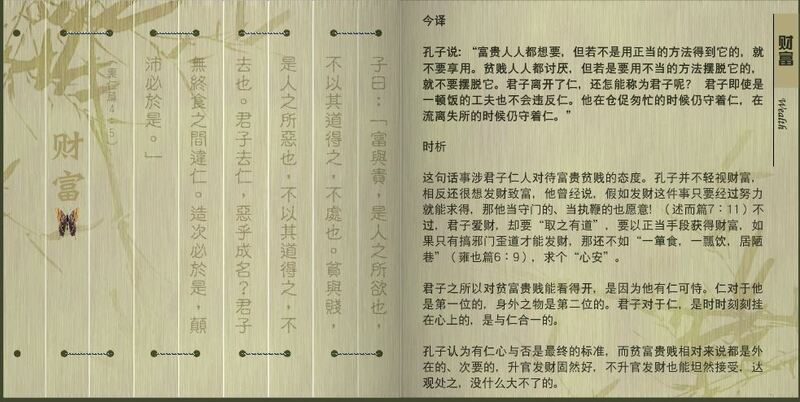 The content starts with self-perfection practices, such as “learning”, followed by subjects about the ways of conducting oneself in society, and ending with “life and death”. 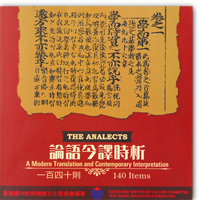 In addition to bilingual modern translation, the contemporary interpretation uses plain language, and through comparison with Western or contemporary beliefs, provides insights into the sayings of Confucius and his disciples from different perspectives. Dr. Troy Lui is the Head of Chinese Curriculum Research Division and Executive Secretary of the Culture Committee of the Yew Chung Education Foundation; Dr. Zhou Weichi is the Associate Professor of the Institute of World Religions, Chinese Academy of Social Sciences; Mr. Terry Cheng is the Head of Website and Editorial Division and member of the Culture Committee of the Yew Chung Education Foundation.